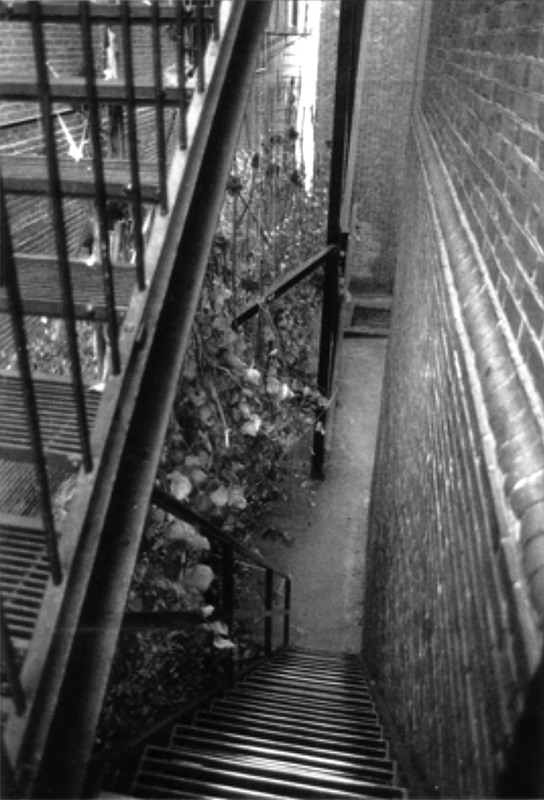 Hundreds of ‘invasive’ shrubs were suspended with twine from the underside of two buildings’ fire escapes. The inverted foliage created a rustling yellow band of leaves above passersby. The floor was covered with 6 inches of dry leaves. Founded in 1996 in Providence, RI, Guerrilla Gardens focused on developing the medium of the “semi-anonymous” temporary installation as a way of expressing the potential of landscape and architecture in various urban spaces. Featured in “Guerrilla Gardens” documentary by Brett Rogers.